This is a must-have for every medicine cabinet. This easy-to-use clear gel helps speed up healing to reduce and improve the appearance of new and existing scars. It provides a clear protective coating to help breakdown existing scar tissue, minimize new scarring and promote faster healing of injured skin. Use immediately on cuts, scrapes, burns, minor skin injury and post-surgical areas. It also protects skin against breakdown in skin creases or areas where skin overlaps. This easy-to-use clear gel helps speed up healing to reduce and improve the appearance of new and existing scars. It provides a clear protective coating to help breakdown existing scar tissue, minimize new scarring and promote faster healing of injured skin. Use immediately on cuts, scrapes, burns, minor skin injury and post-surgical areas. It also protects skin against breakdown in skin creases or areas where skin overlaps. Like the way it feels on your skin not sticky like other products. Hope y'all can make this in a larger size than 1 oz. At times I see the redness fading but when I get hot they always turn back red for awhile. This product is a staple in my skin care regime. It is gentle and can be used on any scar, old or new, and it does help moisturize and improve them. I would recommend this product for constant use, even for acne scars.I have been using it for years. Apply generously to the affected area at least twice a day. For faster results, apply more often. Safe to use on children and any delicate or sensitive skin area. 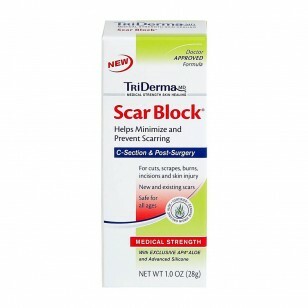 The quicker applied after surgery, within 3 days, the less chance of scar tissue forming. dimethicone, cyclomethicone, silica, aloe barbadensis (AP4® genuine virgin organic aloe vera) leaf extract*. 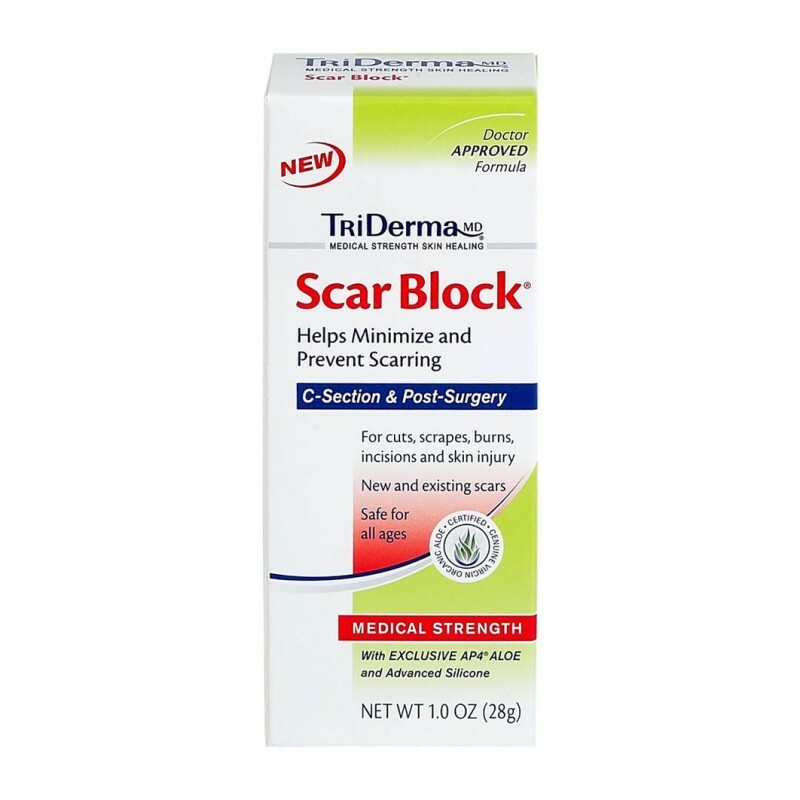 "Your Scar Block product is just amazing! I cannot say enough about it! I Have been using it on my 11 month old daughter's cleft lip repair. It has made a visible difference in her scar and you can almost not even tell that she had a cleft. You have an amazing product and I think you should sell it to Cleft Hospitals and clinics worldwide. It has done amazing things for my daughter. Thank you! I look forward to trying other products you have available, as this one has helped tremendously!! Thank you again!" Jill L.